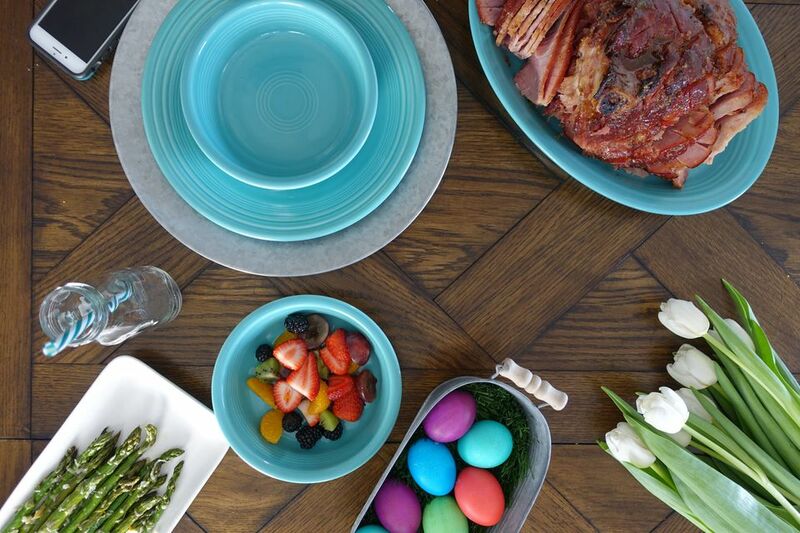 While you can always go to a store and prepare your own holiday feast for Easter, you can have all the fun and none of the work by going out for a meal instead. Fortunately, there are a number of great restaurants that will be open across the country—including hometown favorites and national chains. While some of these restaurants that are open on Easter have special menus or holiday-themed brunches, others serve their regular menus during normal weekend hours regardless of the holiday. You can check with each restaurant to find out more, and it's highly recommended that you call your local branch of chain restaurants before you get packed in the car and head out to eat, because some individual locations may be closed or have different hours. Also, going out for brunch or dinner on Easter has become a tradition for quite a few people. If you are planning on going out to eat on Easter, make a reservation or call ahead to save yourself what might be a long wait. Whether you're hungry for breakfast, lunch, or dinner on Easter, many national chains will be open all Easter Sunday serving up your favorite foods regardless of the meal time. From having breakfast at IHOP and Denny's to enjoying a country dinner at Cracker Barrel, there's no shortage of restaurants open all day. IHOP: IHOP will be open all day on Easter for you to come in and enjoy breakfast, lunch, or dinner. Denny's: You can also enjoy Denny's anytime on Easter Sunday during their regular open business hours. Bob Evans: Bob Evans is open all day on Easter Sunday for their regular hours, 6 a.m. to 9 p.m. You can also pre-order their Farmhouse Feast family dinner that you can pick up and enjoy at home. Golden Corral: Enjoy Easter foods and more at Golden Corral's buffet on Easter; they're open for breakfast, lunch, and dinner. White Castle: Most White Castles are open all day on Easter, but you should call your local restaurant for hours. Starbucks: You can enjoy your favorite coffee drink as well as their food and bakery treats all day on Easter. Cracker Barrel: Cracker Barrel will be open for breakfast, lunch, and dinner on Easter Sunday. Perkins: Perkins will be open during their normal operating hours for Easter. Sonic Drive-In: Sonic will be open their normal hours on Easter Sunday. HomeTown Buffet: HomeTown Buffet, Country Buffet, and Ryan's Buffets (all subsidiaries of the same chain) will all be open on Easter serving their breakfast, lunch, and dinner buffets. Burger King: Most Burger King restaurants are open on Easter, but some locations may have shorter hours. Waffle House: All Waffle House locations are open on Easter Sunday considering that the restaurant is always open: 24 hours a day, 365 days a year. After the egg hunts are over, you can head out to these restaurants to get lunch and dinner on Easter Sunday, but most of their national branches open in the afternoon. Applebee's: Applebee's is open during their normal Sunday hours for Easter (lunch and dinner). Red Lobster: Red Lobster will be open for Easter 2019 for both lunch and dinner. Olive Garden: Olive Garden is also open on Easter Sunday during normal operating hours, for both lunch and dinner. Outback Steakhouse: Have dinner in the Outback on Easter for both lunch and dinner. Boston Market: Boston Market is open on Easter and they have a special Easter feast that includes spiral sliced ham, boneless ham, or boneless turkey breast. Carrabba's: Go Italian this Easter because Carrabba's is open for both lunch and dinner for their regular hours on Easter Sunday. Buffalo Wild Wings: You can enjoy those wings even on Easter because Buffalo Wild Wings is open for their normal hours. TGI Friday's: TGI Friday's will also be open for Easter, call your nearest location for hours. LongHorn Steakhouse: LongHorn Steakhouse will be open during their normal Sunday hours for breakfast and dinner. Texas Roadhouse: Texas Roadhouse will be open for lunch and dinner on Easter, where you can enjoy all your favorites. Chili's: Most Chili's locations will be open on Easter, but you'll want to call before you go to check if your location will be open. Yard House: Your local Yard House will be open for lunch and dinner this Easter. Bonefish Grill: Bonefish Grills open at 11 a.m. on Easter with either a brunch or dinner menu, depending on location. Fleming's: You can eat at Fleming's Prime Steakhouse on Easter, with some locations offering a brunch. Benihana: Benihana will be open for lunch and dinner, reservations are suggested. Shake Shack: Most Shake Shacks will be open on Easter, but some locations will have different hours. P.F. Chang's: You can enjoy a lunch or dinner at P.F. Chang's on Easter this year. Maggiano's: They will be open on Easter will some locations offering a special Easter brunch. Cheddar's Scratch Kitchen: You can stop by Cheddar's for lunch or dinner this Easter. Papa John's: Get your pizza fix even on Easter, because Papa John's is open. Buca di Beppo: Buca di Beppo is open for Easter Sunday lunch and dinner, but reservations are suggested. Although most restaurants that are open for breakfast remain open through dinner, a few national chains are only available for breakfast and lunch or are only open for dinner. McCormick & Schmick's: McCormick & Schmick's Seafood & Steaks is open for a special Easter breakfast and lunch; reservations are suggested. Ruth Chris: Ruth Chris Steak House is open for dinner for Easter, 4-9 p.m., and will have a special menu. At some locations, there may also be a brunch available. Call your local Ruth Chris for details.